We all know that California is a sanctuary state that will inappropriately house illegal aliens against the will of the federal government. They’re pretty open about their defiance of federal law and it’s been the source of a lot of anger for conservatives. Someone decided to step up and finally make pubic what the rest of us have been thinking for quite a while. They hung up signs in California that welcome a very specific and unsavory group of people. And it also gives a hilarious reason for why they are wanted. 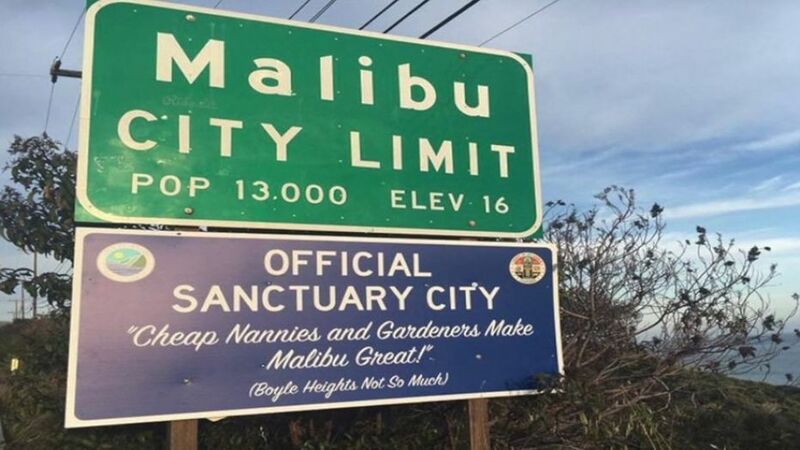 This sign is reminiscent of the one that was seen in Malibu in April of 2017, which mocked their immigration laws as well. 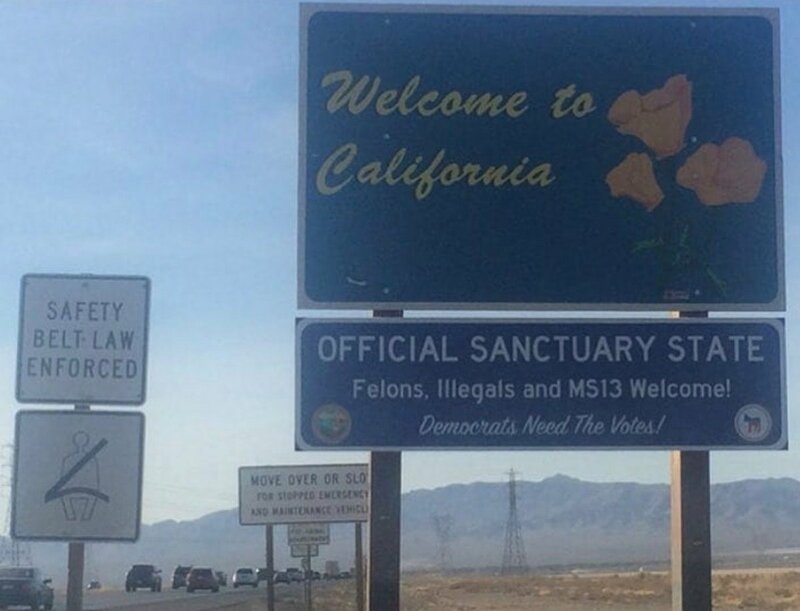 The California Department of Transportation didn’t take kindly to these signs and has already dispatched people to remove them citing “safety reasons. The fact that someone went through the trouble to make these and put them up as a way to mock people who are willingly breaking our laws for their own personal gain is kind of ironic, considering they want us to adhere strictly to certain laws they like, but every other law they feel is “unjust” deserves to be ignored. This kind of legal relativism is extremely dangerous, because people can just decide which laws to follow and which they don’t care for, and there’s no legal recourse for it. For example, if a man breaks into my home and steals my belongings, we normally call that breaking and entering and burglary, right? But a bleeding heart could make the argument that he was “cold and poor” and suddenly the law doesn’t recognize what he did to be a crime, and demonizes me for wanting to kick him out of my home. Do you see how ridiculous that is? Even if I am rich and have more rooms than I am actually using, that doesn’t make it right for someone to sneak into my home and use it for their own pleasure, and not even pay rent. Living in America is not a right, it’s a privilege and these people are abusing it by breaking the law. And I’m not just talking about the illegals, either.